Why do we need an International Talk Like a Pirate Day? Make no mistake. We do. But it’s a little hard to articulate why, especially when you’ve made the mistake of referring to your wife as a scurvy bilge rat and tried to order her back into the galley. Talking like a pirate is fun. It’s really that simple. It gives your conversation a swagger, an elán, denied to landlocked lubbers. The best explanation came from a guy at a Cleveland radio station who interviewed us on the 2002 Talk Like a Pirate Day. He told us we were going to be buried by people asking for interviews because it was a “whimsical alternative” to all the serious things that were making the news so depressing. In other words, silliness is the holiday’s best selling point. Before we go any further, there’s something we need to be clear about. Pirates were and are bad people. Really reprehensible. Even the most casual exploration of the history of pirates (and believe us, casual is an accurate description of our research) leaves you hip deep in blood and barbarity. We recognize this, all right? 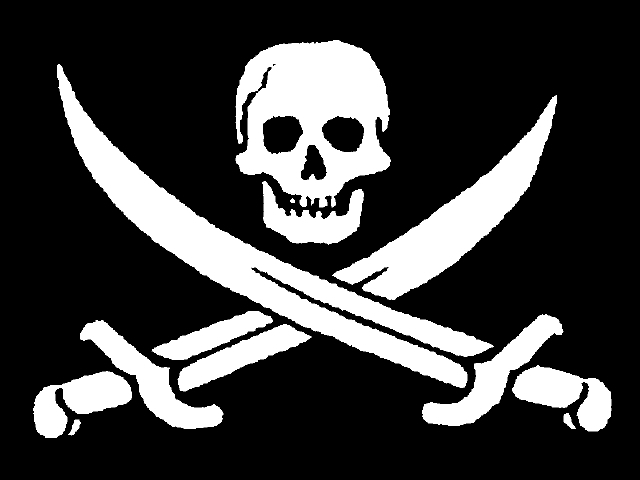 We aren’t for one minute suggesting that real, honest-to-God pirates were in any way, shape or form worth emulating. So what is it exactly that we’re celebrating here, if not pirates? What, you’re wondering, is the point? We’re going to be painfully honest here, perhaps fatally so. And that’s what’s fun about Talk Like a Pirate Day specifically, and talking like a pirate in general. We’re talking about the mere image of swaggering pirateness. And while this is a guys’ guide, the comely wench will have fun talking like a pirate, too. It’s powerful, yet harmless. Perhaps, dare we suggest it, the ultimate aphrodisiac. Try it! When Sept. 19 rolls around and suddenly tens of thousands of people are saying “arrr” and “Weigh anchor or I’ll give you a taste of the cap’n’s daughter,” it staggers us. They are talking like pirates — not because two yahoos from the Northwestern United States told them to, but simply because it’s fun. Pirate lingo is rich and complicated, sort of like a good stew. There are several other sites that offer glossaries that are pretty good, and you can find some of them on our links page. But if you just want a quick fix, a surface gloss, a “pirate patina,” if you will, here are the five basic words that you cannot live without. Master them, and you can face Talk Like a Pirate Day with a smile on your face and a parrot on your shoulder, if that’s your thing. Let’s get together and haul some keel. 6. That’s quite a cutlass ye got thar, what ye need is a good scabbard! 4. I’ve crushed seventeen men’s skulls between me thighs! 3. C’mon, lad, shiver me timbers!